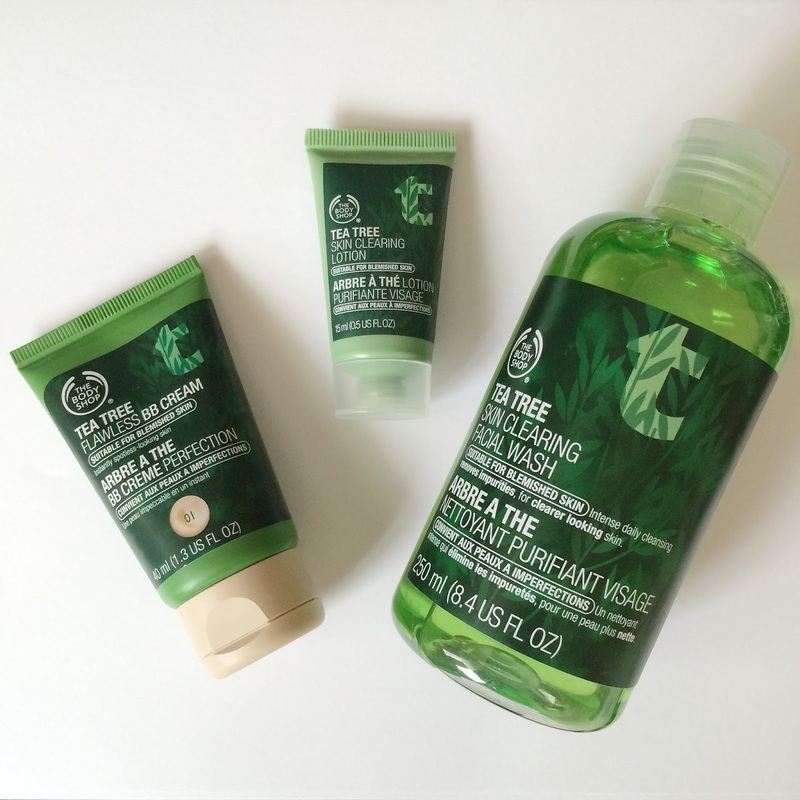 The Tea Tree range from The Body Shop comes in a variety of products, which range from Tea Tree Skin Clearing Lotion which is at the lowest price of £3.00, right up to the Tea Tree Face Mask which is at the highest price of £10.00. "CLINICALLY PROVEN TO GIVE CLEARER SKIN FROM ONE WEEK. THE RANGE ALSO USES TAMANU OIL EXTRACT WHICH IS REPUTED TO HELP GENERATE NEW TISSUE AND IMPROVE THE HEALING PROCESS FOR SKIN. SO SAY GOODBYE TO SHINE AND HELLO TO CLEAR SKIN!" I recently decided to purchase some products for myself to try out, as I'm always on the lookout for something to help keep my skin clear (ok the 30% off plus free gift if spent over £10 email) did influence me quite a bit haha. The products i chose were: Tea Tree Skin Clearing Facial Wash, Tea Tree Flawless BB Cream and also the Tea Tree Skin Clearing Lotion. 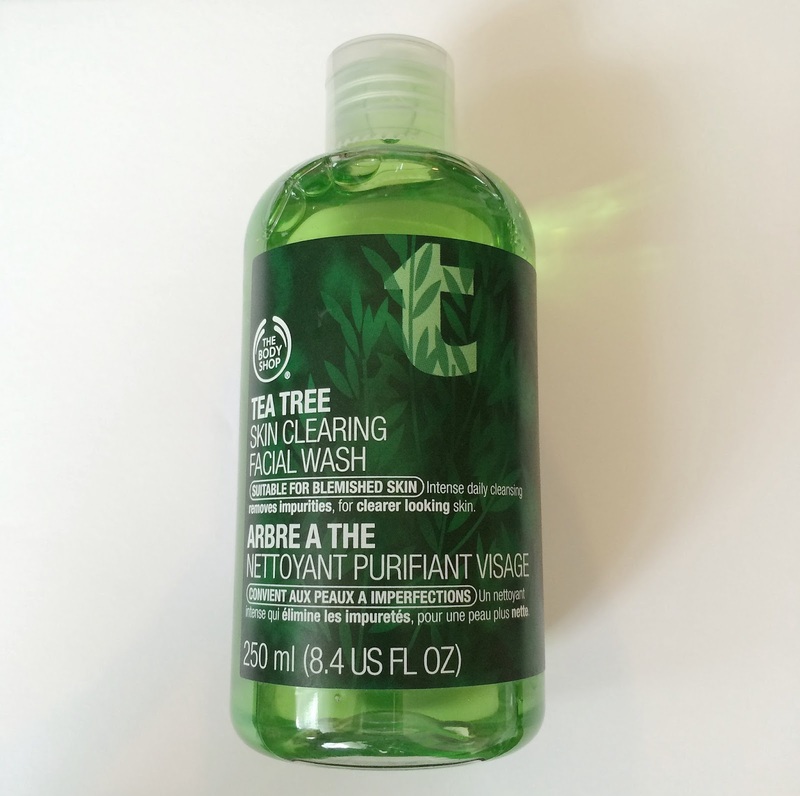 First off is the Tea Tree Skin Clearing Facial Wash, it claims to remove impurities for clearer looking skin and to also reduce excess oil while staying gentle to the skin. I've always had problems with my skin since i was about 13-14 years old and in the last few years also started to get oily skin (especially of a morning when i wake up). Since I've been using this both morning and night, the oily skin is a thing of no more! (woop), my skin is left feeling soft throughout the day and night. Any spots that i tend to get this helps control and I've noticed a big difference in my skin & that i don't get as many as before, if not hardly now! It foams up pretty well so only a little bit is needed, so at £5.00 for 250ml this bottle will last a while. Next up is the Tea Tree Skin Clearing Lotion, I tend to put this on after I've washed my face with the facial wash as pictured above. 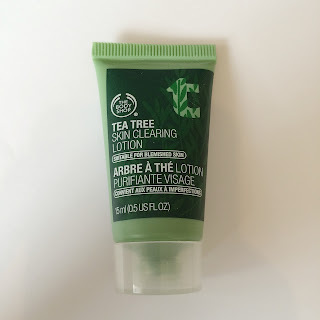 I put it on any blemishes that i have at the time and let it sink in fully before any moisturiser, it feels soft on the skin and also has a nice smell to it. This product is the cheapest in the Tea Tree Range, it costs just £3.00 for a 15ml tube. I personally would of liked a bigger tube of this at a slightly higher price as i don't think this will last too long.....but then again it gives me an excuse to make another purchase either online or in-store. 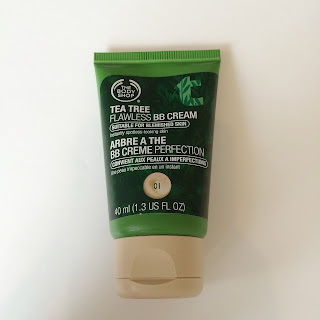 The last product i chose was the Tea Tree Flawless BB Cream, I needed to find another BB Cream as the one i was using before (T-Zone Anti-blemish BB Cream) i think has been discontinued as i cant find it anywhere. I chose this is in shade 01 Light, i do find that it is still a bit dark though but problem sorted i just add a tiny bit of moisturiser to it which lightens it to the correct shade for me. Its a light coverage which is fine for me as i don't like anything too heavy on my skin and this bb cream feels light on the face and hides any redness that may be there. This product is £8.00 for 40ml which is a perfect size i think, I don't tend to use it everyday so this tube will last me a little while i think. I would definitely recommend this to anyone who's thinking of purchasing it. And because i spent over £10.00 i got to choose a free product, the choice was out of a selection of hand creams. Now being a nail technician i love to keep my hands feeling soft with any hand cream i can get my hands on, so i was loving the fact that the free gift was a hand cream! 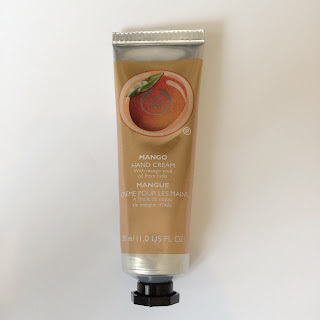 I decided to go for the Mango Hand Cream, which I'm so glad i did as it smells absolutely gorgeous and leaves your hands both smelling nice and also feeling soft. After using all these product for just under a week, I have already noticed a massive change in my skin which is a good change not a bad one haha. And i would definitely recommend this range to anyone who has problems with there skin. 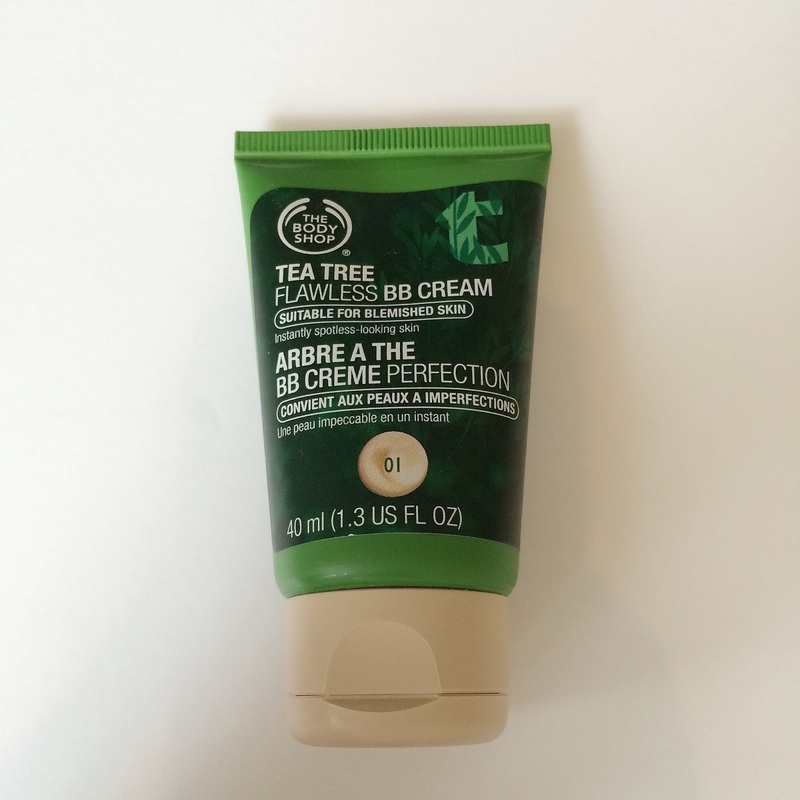 Have any of you tried any other products from the Tea Tree Range? What other Body Shop products would you recommend?